We’re so proud to release NoSQLBooster for MongoDB 5.1 today. This version includes visualizing GeoJSON Objects, mouse hover improvement for MongoDB operators along with some useful minor improvements and bugfix. Let’s dive in and get an overview of what’s coming in NoSQLBooster 5.1! NoSQLBooster 5.1 greatly enhanced mouse hover in the code editor. 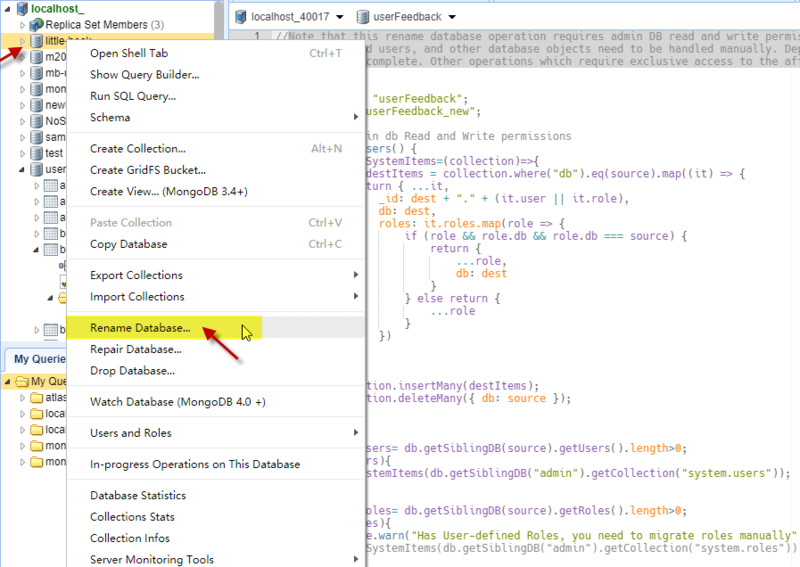 In addition to method and type definitions, hover is now able to display document and example for MongoDB operators. In version 5.1, you can use keyboard shortcuts to quickly switch between the editor, the results view, the database object explorer, and my queries panel. MongoDB doesn’t have a built-in way to rename a database, unlike renaming collection, renaming a database is cumbersome. NoSQLBooster 5.1 adds a handy “rename database” operation. This simple UI operation makes renaming the database less painful. Note that this rename database operation requires admin DB read and write permissions and this operation migrates only collections, indexes, and users, and other database objects need to be handled manually. Depending on the size of the collection, this may take longer to complete. Other operations which require exclusive access to the affected databases will be blocked until the rename completes. In addition to renaming the field name of the select document, the newly added option allows you to rename the field names of all documents in this collection. New, added update$addToSet$each and update$push$each code snippets. 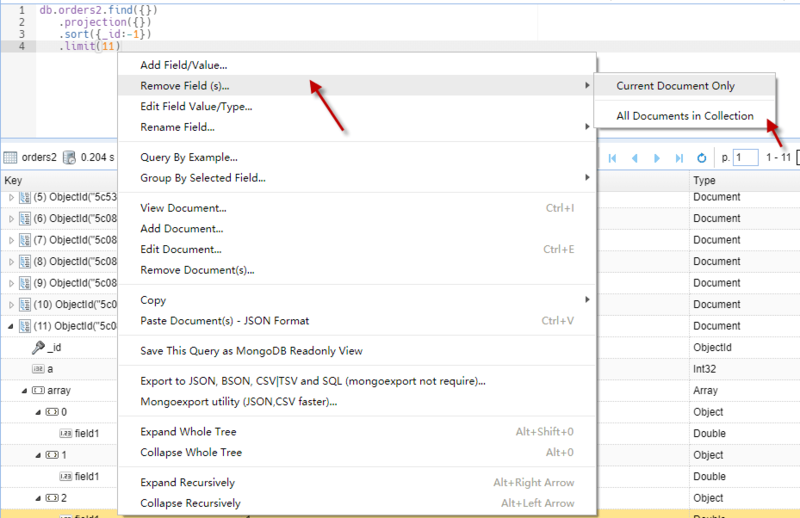 In addition to remove the select fields of the select document, the newly added option allows you to remove the selected fields of all documents in this collection. Added, do not show hidden files and directories (e.g. .git) in my queries tree view. Fixed, an incorrect sorting parameters bug in code generator. Fixed, an undefined behavior bug by calling “drop user” action. 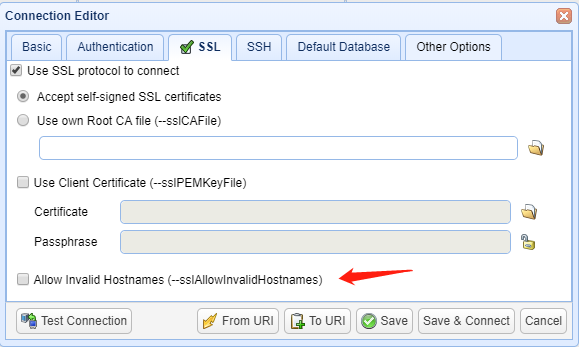 Added an “Allow invalid hostnames” SSL option to disable the validation of the hostname in the TLS/SSL certificates. Added, “Cancel” action in dialog box for connection open confirmation. Fixed, background SSH tunnel processes remains after shutting down NoSQLBooster. Fixed, a bug in renaming field names in all documents. Improved, update “tunnel-ssh” package to the latest version. Improved, update “lodash” and “moment” package to the latest version. Fixed, an crash error when exporting a large query result set. Fixed, an error saving last switch mode When the script fails.